Yesterday, my wife and I attended a crisis meeting called after Jewish community leaders announced that they were closing our son’s high school. This isn’t an immediate problem for us — our son graduates this year, and we were looking forward to not having to pay the annual school fees (and thankfully, his educational savings account is so well-funded he won’t need to worry about student debt). The school has been around for about 25 years — and by any standards, has a tiny enrolment — less than 30 kids over the four high school grades. The entry “class” last year had, yes, one teenager. The board of directors for the overall school decided that enough was enough — the high school would need to close to avoid financial losses exceeding $250,000 a year. Then — wham, the reaction. Obviously currently enrolled students and their parents let the school administration know of their dissatisfaction. Alumni came out of the woodwork, as well. School meetings that would struggle to attract a quorum were replaced by an impassioned room with more than 100 people, all venting about the lack of “transparency” in the decision, the surprise, and saying they wanted to find a way to keep the school open. At the end of the meeting, a task force started work on the daunting challenge. I don’t know if the school will be able to survive the test, but appreciate one thing — the crisis point reflected a key sustainability test: When the story should, by rational and objective economic considerations, be about to conclude, would there be enough passion and determination and will for the institution to survive? “Sustainability” is a buzz word these days, but reflects deeper realities and passions. Can we build better, to last, and to reduce overall operating and maintenance (and energy) costs? 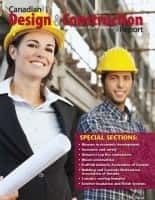 Certainly, in my voluntary role with Construction Specifications Canada, we’re finding real interest in programs promoting sustainable construction. The revenue has resulted in a surprisingly flush chapter budget. But there are other clouds on the horizon — the volunteer core leading the group is way too small, and executive members are recycling their jobs. We scratch our heads about why we can’t get more involvement. I mean, it isn’t so bad. As a bonus for my CSC chapter leadership responsibilities, I receive expense-paid trips to national conventions, enhancing my understanding, knowledge and relationships (and these relationships have provided quite a whack of profitable business.) Surely others should see and receive these benefits. Ditto for the school that faces closure. Parents and kids who have attended love the place. Graduates all go on to good things. The academic standards are really high, but even if you are not a genius, the more “ordinary” teenagers absorb the brightness and braininess of the place, and reach much higher levels of attainment. The school is a bargain. But tell that to someone who isn’t there and they won’t get it. Sustainability certainly requires repeat and loyal clients and relationships — you can’t last for long (unless you are a con-artist running a tourist trap) running one-off and quick-fix answers. Bad word of mouth can be a killer. You certainly need your costs to equate with your revenues and if you don’t you are doomed . . . but, it isn’t all about the numbers. I saw that sustainable quality at the school meeting last night, and have seen it in other places, some of which I cannot report publicly now. Somehow, faced with seemingly insurmountable obstacles, the collective will and determination to survive overcomes logic and the odds — and the business, organization or cause lives for another day, or decades. We can’t force or inject this sustainable passion or determination into our business through marketing, of course. But we can certainly apply marketing principles to build on and support the sustainable process. And if we have resources, services, or tools to promote or enhance sustainability, there are real marketing advantages. 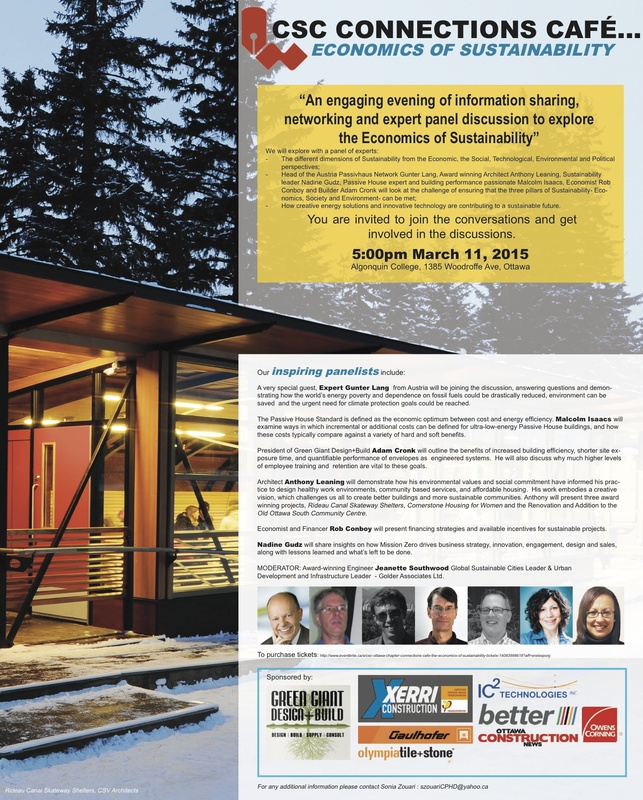 I can see that as we count the ticket sales, sponsorships and sustainable revenue from the upcoming CSC Ottawa Economics of Sustainability event. 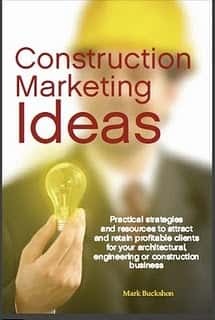 Construction marketing challenge number one: Is there a market?